Recruitment and sorority life did not work out for me and I am better for it. I wanted to be in a sorority. I wanted to join a sorority because I wanted to be surrounded by well-rounded, goal-oriented, and overall good women. I am a strong believer that you get out of something what you put in and I was ready to put my all into a sorority. Turns out, this is not what was in store for me. I was so excited to rush. I participated in formal fall recruitment at Auburn University at the start of my freshman year. I spent the entire summer before gathering letters of recommendation for each sorority and had at least two for every sorority. I even had six for some. (These ended up being entirely irrelevant). I am from a small town in south Alabama where all the women were in sororities and I was so ready to be in one! My mom was not in a sorority so I had no idea what to expect. I watched every YouTube video out there about rush and read every article that I could find. 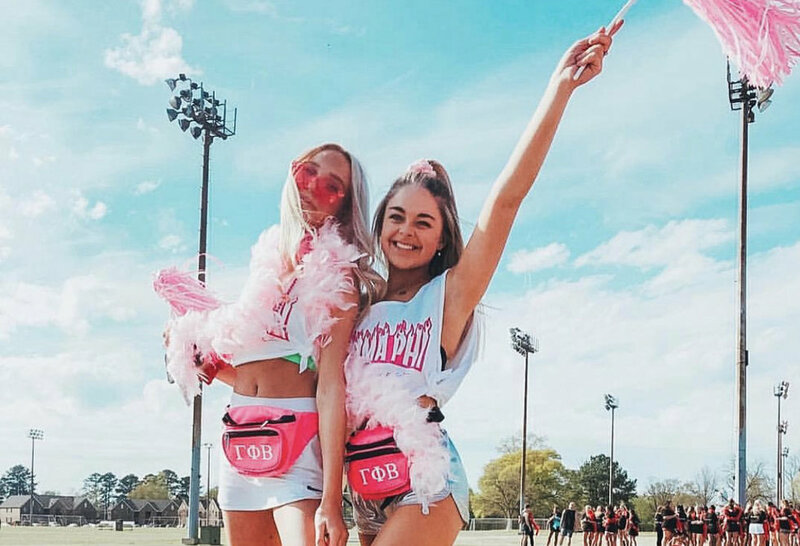 The topics of these articles and videos ranged from outfit ideas for each day to what to talk about or not to talk about during parties and even on why girls should join a sorority. Before parties even started, all of us were told to "trust the system" or "you will end up where you belong," but, let me tell you, this was far from the truth. On day one and two I started with all 18 sororities. On day three I was shocked to see that I had only been invited back to four sororities. Then on day four my worst fear happened, I was invited back to one sorority. Everyone is told that the first round of cuts is based only on grades, this is not true because I spoke with a girl who was also only invited back to one who made a 34 on her ACT and she was super nice, so I do not believe for one second that the first round of cuts are made based off of grades. This week was by far the worst week of my life. I had never questioned myself until I participated in recruitment. I was only invited back to one sorority and I knew in my heart that I did not want to be a part of it. I accepted a bid anyway because everyone told me to "trust the system" or "it will all work out." This sorority was new to Auburn. It was incredibly unorganized and members of the sorority and other new members constantly spoke of inappropriate things that I did not want to be associated with. So I got out before initiation. I even thought of participating in recruitment again or signing up for continuous open bidding but after speaking to girls in other sororities I decided against it. One girl that I spoke to said that while she was in a room full of women she still felt entirely alone because of "cliques" that existed in her sorority. She also told me that if I rushed again, I should not mention that I had gotten out of another sorority because the girls would think that I had been kicked out! Others said that they were tired of all of the obligations and the drama that comes with being in a sorority. Also, why would I ever want to put myself through that again? Sorority life did not work out for me and I am better for it. Recruitment and being a new member of this sorority caused me so much unnecessary stress and I am happy that I do not have to worry about it anymore. I have gotten involved on campus in other ways! I am now the sweetheart for a fraternity and I absolutely love it! It's THE week for sorority and fraternities. For most people that do not know about Greek Week think that the week is filled with people dressed in togas and doing irrelevant things, but from behind the scenes of preparing for this event, I can say this week is where my memories of college stem form. Here are all the details and planning that go into Greek Week. Each year, committees prepare weeks in advance and create shirts for all their members who choose to participate in the week-long event. Much thought is put into the colors and type of shirts that girls and guys will wear. Usually, the week with have a set theme that houses work around and compete to have the most creative look. No togas involved, but getting decked out for your fraternity or sorority will have you looking like true greek goddesses. Besides matching shirts, Houses prepare every little detail and nothing is ever "too much." To look the part, houses provided and prepare posters, streamers, poms to cheer with, hair bows, tutus, and pounds of paint and sparkles. The goal is to stand out and show your spirit. Greek week is not only a week-long event but a competition. houses that choose to participate hang a homemade banner and is judged by the committee who puts on the week. Girls and guys create their own design in hopes of being chosen with the best banner. For my house, we spent some time working on the banner, playing music, and ordering pizza and donuts. Nothing ever seemed like a hard dreadful task, but just a good time to bond and get close to your sisters. All members are invited to participate in the week, for the more people in attendance, the more points awarded. Good sportsmanship and enthusiasm earns points for all teams. Cheering committees attend all events and keep everyone pumped up throughout the week supporting their friends. 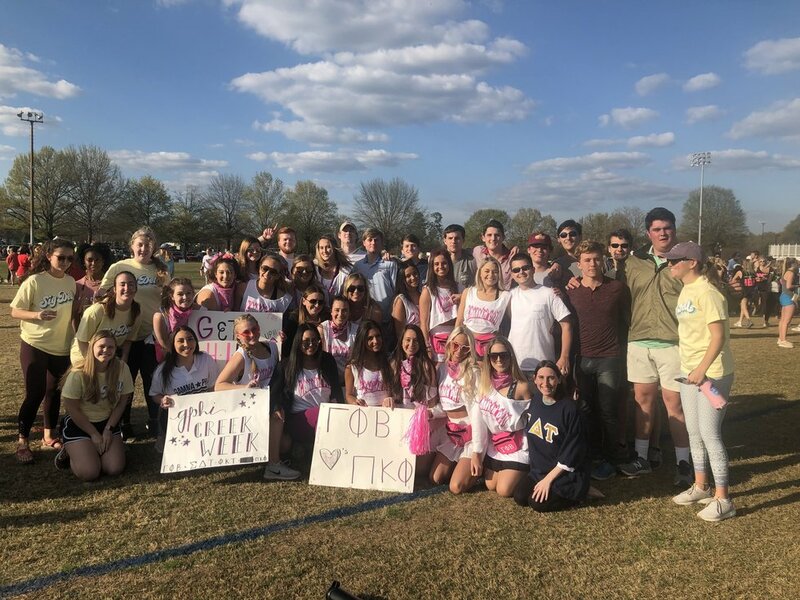 Greek Week is almost like the Olympics, but you don't have to be a star athlete to participate. Competitions such a tug of war, bowling, kickball, and basketball are available for all teams to compete in. those who fill their teams and meet requirements earn points, on top of winning the games they participate in. Even if you have never played a sport in your life, games are friendly and always fun to spend with your friends. The biggest confusion is probably Greek Sing. There is no singing just a dance event. Girls and guys practice all week, come up with a costume, and perform on the final night of the week. 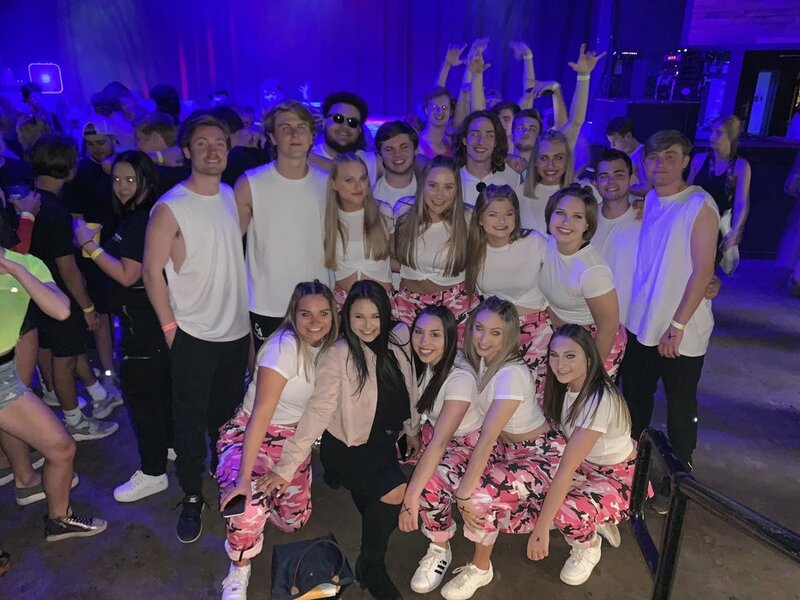 This year guests, such a Damien Harris, judged the dance competition and all those who attended watched some great dances and danced the night away after the competition. This was a great conclusion to the week and girls and guys created new friendships throughout the week preparing for this event. It is exciting to see guys learn how to dance and get competitive or find out there are hidden stars in the making. 8. Don't forget the memories! 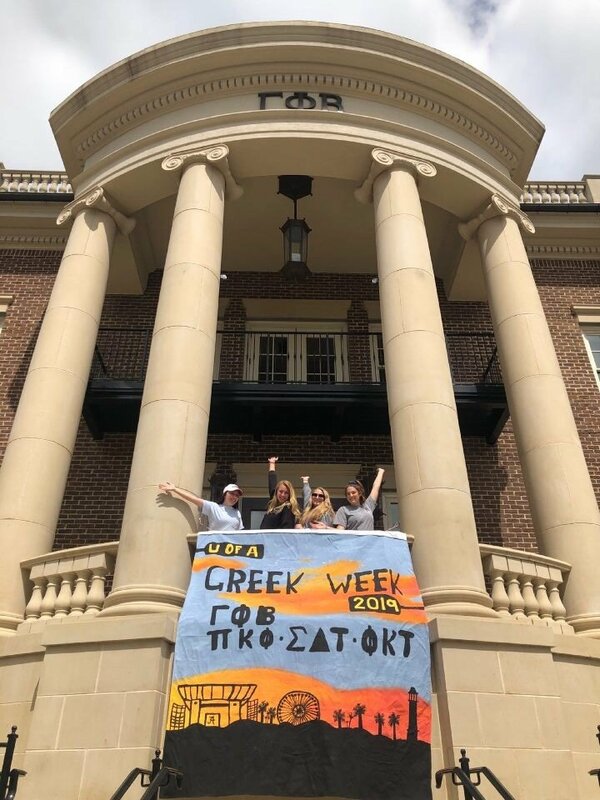 If you win or come in last place, no one really remembers how well they did, for they will always cherish the memories made during Greek Week. The week-long event really shows how groups come together in some friendly games and meet new people. This is a great way to get out in the sunshine and take a break from all the studies and have some fun!